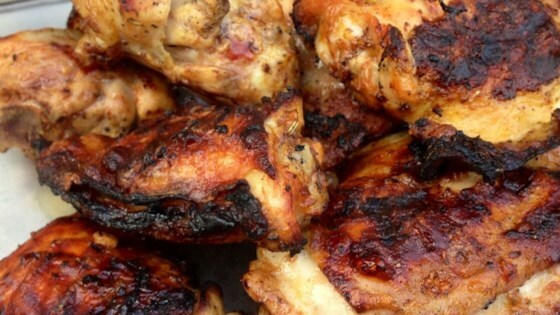 "There is something special about what yogurt does to chicken in its smoky, sizzling time over charcoal. It imparts a tangy flavor that lifts all the other flavorings. It tenderizes slightly, without turning the meat into mush. It grills to a caramelized dark brown without tasting burnt." Watch Chef John make a healthy, low-fat chicken recipe. If your store doesn't carry harissa sauce, you can make your own with this recipe. This was tasty, but it wasn't like... WOW, flavor! I think if i tweak it a bit, though, it will be a great recipe. It was super moist though!